Trends, an outcome of constant analysis and heavy research are often the most integral part of the process that takes a company forward. A Website, one of the pillars on which a company stands, is subjected to the ongoing evolution of trends. 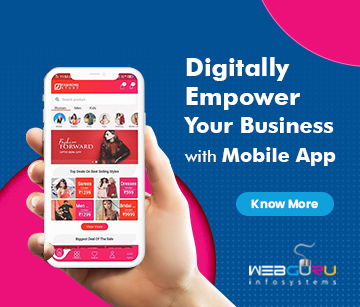 The Website Design industry has already gone through numerous phases over the course of years and, it should be continuously updated to suit the needs of the time. 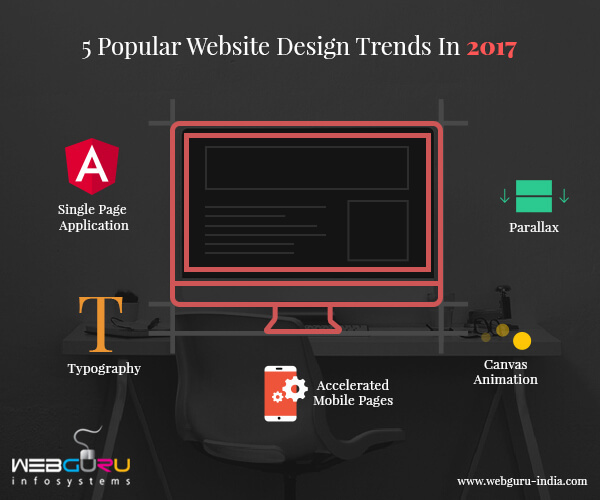 Some of the trends listed below will define Website Design in the year 2017 and beyond. 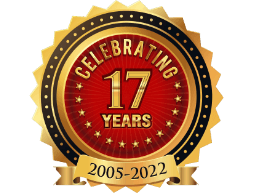 They have been in use in the earlier years but have now undergone an upgrade that is expected to contribute greatly to the goodwill of business websites. Web designers have been using the Parallax technique of scrolling since the early days of 2011. It is still widely used to amplify the user’s online interaction and experience while using the website. Parallax designing uses various background images and alters the speed of their movements to create an illusion of depth during web surfing. Though there are a few downsides to having a parallax site, it is inarguably one of the better tools to engage a viewer in the activities of the site. The background or some of the images on the website move at a different pace than the rest of the page, thus making an impressive visual. This animation technique can be used to guide the user on the site and, to evoke their curiosity which makes page visits last longer. Canvas Animation, a comparatively recent inclusion in the field of website design is growing in popularity as a trend. Former static web content can now be animated, leading to increased user interactivity and lower bounce rate. Canvas Animation must not be confused with GIFs as the latter can only integrate images on a web page to create a looping style video, without allowing any interaction with the rest of the web page. The canvas element in HTML5 can be used to convert almost anything on a web page into an animation. Unlike Flash, that is used as an external file the canvas element is embedded directly into the HTML coding using Document Object Model (DOM). This is useful as it allows Canvas to interact with the other elements on the page. One of the other benefits of using the Canvas element is its cross-browser feature that eliminates any need for additional plugins to function. Though it might be enticing to follow trends blindly and include too many while creating a website, 2017 is the year where a de-cluttered look would seem more appealing. This necessitates wider and longer web pages, large yet sleek font and bigger, more prominent images. To achieve such a look, professional Website Design experts also make use of white spaces and flat colours that lend a classier feel to the website. Hyperlinked texts which act as entry-ways to more information are also carefully incorporated throughout the website instead of populating the pages with an excess amount of content. This is the age of digital evolution. Web Design Trends will come and go depending on their usability and popularity. One has to study user demands and understand the relevance of any new trend before implementing it on a website. Careful planning, thorough discussions and brainstorming sessions should precede any website design activity. If you need help, you can talk to a professional website design company for further explanation. They will give you a better insight into the latest trends and, help you create a website that amplifies user experience. Consulting these experts will minimise risks and, help you stay ahead of the curve. Really useful information! I will look forward to reading more of your posts. Keeping a track, update soon please. Thanks for the marvelous information. keep more update about Parallax scrolling techniques. I need more detail information about Parallax scrolling . Thanks Again. Really excellent information… Thank you! Excellent information from you. Thanks for sharing this valuable information regarding website design trends. I will surely look forward to read more from your post. This article really give good information regarding website designing. Wow! It is really good info! Thanks for sharing this post. 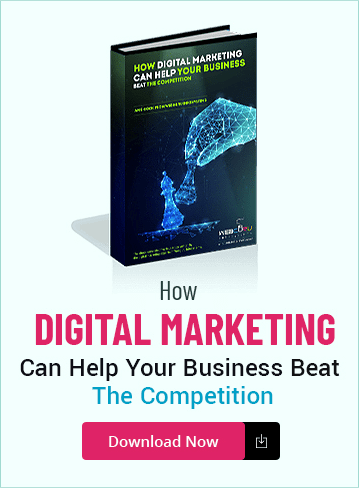 This site will truly help everybody in giving the instruments and data fundamental for the general population to create and enhance their site.